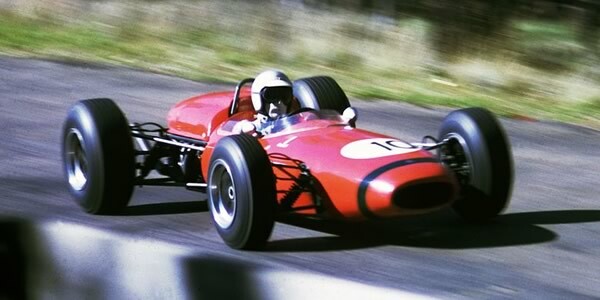 Back in the days when motor racing was for fun, a driver's idea of a close-season holiday was to run in the races in New Zealand and Australia. Once these races were formalised into a championship, the top drivers of the day competed for the Tasman Cup. Everyone to win the World Championship from 1959 to 1971 took part at some point. As the F1 season expanded and the winter break shrank, the Tasman series reduced in importance at the end of the 1960s and was competed by local drivers during the F5000 period of the 1970s. The statistics above only include the 44 races that were official rounds of the Tasman Cup. Three other races, Lakeside in March 1965, Levin in Jan 1967 and Teretonga also in Jan 1967 were full Internationals with major fields and are included in the results section. Of the regulars, Jim Palmer gained an impressive 65 points from his 28 starts but never placed higher than third. Kenny Smith only gained 14 pts from his 34 starts but that's still better than Frank Radisich's single point from 26 starts. The statistics above only include the 44 races from the previous section plus the official rounds of the 1970-1975 Formula 5000 Tasman Cup. *Points are based on the traditional 9-6-4-3-2-1 system.